Brighten up your day with colourful office stationery. 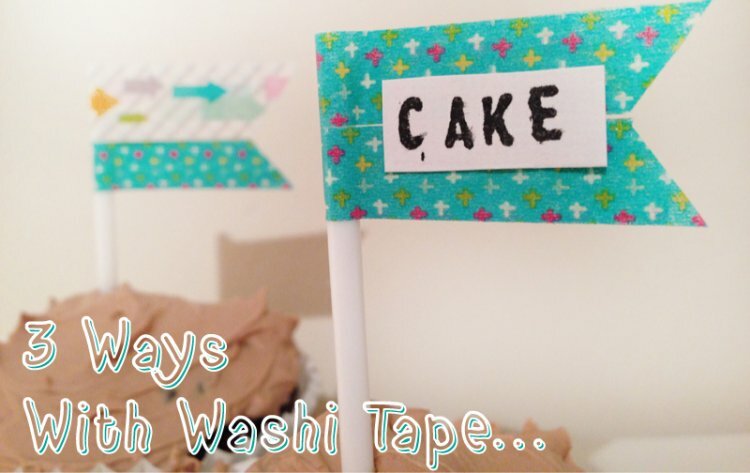 Use your favourite washi tapes and create your own designs to make it one of a kind. These easy peasy cake decorations take seconds to make but add a touch of cool to your baking, personalise them with names or occasions to make them special. A great technique for cards and gift tags, use strips of washi tape behind punched out shapes to create wonderful patterned designs in an instant. Excellent for if you have several to make.